The Savoyard nobleman Joseph-Marie, Comte de Maistre (1753-1821) is an undeservedly neglected figure in Anglophone scholarship. Born the son of a recently ennobled Savoyard lawyer and senator, Maistre followed in his father's footsteps and devoted his life to serving the King of Savoy, staying fifteen years in St. Petersburg as an envoy of the exiled Savoy court. His life was for the most part uneventful, spent largely in genteel company in the salons of the Russian capital. Were it not for the French Revolution, he might very well have lived out his life an undistinguished man, no different from the rest of the minor European nobility. What makes him an interesting figure from the perspective of the intellectual historian are his voluminous, stylistically superb philosophical works, the writing of which he devoted himself to following the Revolution in France in 1789. In his writings, the ultramontane and deeply Catholic Maistre unremittingly attacks the philosophy of the French Enlightenment, and in doing so expounds a philosophy of his own -- a deeply and sincerely pessimistic view of the nature of man which calls on an authoritarian trinity composed of King, Pope and Hangman to curb his savage nature. Although modern historians trace the causes of the Revolution to a variety of factors, the same cannot be said for the immediate post-Revolution reactionaries in France, who were more or less in agreement about whom to blame for the 1789 dissolution of the ancién regime. The Revolution was in their view the logical outcome of giving free rein to subversive anticlerical forces: it was a devious conspiracy of atheists, Protestants, Jansenists, Freemasons, Illuminati and, most of all, the irreverent lumiéres who had dared to subject tradition and authority to the criticism of reason. Writers such as the theologian Bonald, and Augustin Barruel, with his bestselling Memoirs Illustrating the History of Jacobinism, poured scorn and invective upon the French philosophes, whom they held accountable for dissolving the basis of order and authority with their critical philosophy and deification of reason. By defying God, monarchy and tradition with their zealous anti-Christian propaganda, the philosophes and their disciples had allegedly undermined the foundations of civilized society and replaced it with a godless anarchy culminating in the blood-drenched guillotines of Robespierre's Terror. According to this widespread reactionary view, the Revolution was a man-made blunder -- the logical consequence of permitting the spread of Enlightenment ideas. Unlike most of the reactionary writers in the immediate post-revolutionary period, Maistre was not content with mere outraged invective. In his view, the Revolution and the Terror was the work of Divine Providence, a punishment meted out to man for the insolence and pride of the misguided and heretical new philosophy. Its roots were intellectual and ideological -- "books did it all." He therefore sought to uproot and destroy the tenets of Enlightenment philosophy, and proceeded to do so with a political astuteness and intelligence unmatched by his Catholic reactionary allies. In his writings Maistre attacked cosmopolitanism, science, universalism, the power of reason, and the possibility of progress -- ideas commonly associated with the Enlightenment. All of these were subjected to a devastating analysis in which Maistre tried to demonstrate that they were based on a hopelessly naive and misguided conception of man, society and nature. With morbid irony, Maistre turned the weapons of philosophes against them. Their idealistic and, for the most part, progressive sociology was typically an a priori enterprise, modelled on metaphysical speculation, logic and even geometry. Maistre instead appealed to the empirical facts of history. The Baconian inductive method so much praised by Voltaire and the other philosophes, he said, does not lead us to the conclusion that man is a neutral medium to be shaped this way or that. Optimism about human nature and about the possibility of improving the lot of mankind runs counter to even the most basic observations of both the human and the animal world. "In nature," Maistre says, "there reigns an open violence, a prescriptive fury which arms all creatures to their common doom. As soon as you leave the inanimate kingdom, you find the decree of violent death is inscribed on the very frontiers of life." In the rest of this much-cited passage, Maistre vividly portrays life in the Creation as one of perpetual battle for survival by all things living, necessarily ending in death. One creature kills and consumes another, only to be killed and consumed in turn. Over this veritable abbatoir man is placed, "and his destructive hand spares nothing ... proud and terrible king, he wants everything and nothing can resist him." Maistre's pessimism about man is one of the cornerstones of his philosophy. Most of the French Enlightenment philosophes saw man as neither inherently good nor evil, but rather as a product of social and environmental factors pulling and pushing in one direction or another. Even if human beings were flawed, their lot could be improved by the correct means of social organization. The ills of man could be solved -- or at least substantially ameliorated -- by organizing society in a scientific way ultimately discoverable by reason. Maistre violently rejected this. Man is a weak, sinful creature -- and, worst of all, he is proud. Only uncompromised, unquestioned authority, only the chains of a stern master, can keep him in check. His savage nature must be curbed by the power of punishment, which is ultimately derived from God. Therefore, "all greatness, all power, all social order depends upon the executioner; he is the terror of human society and the tie that holds it together; Take away this incomprehensible force from the world, and at that very moment order is superseded by chaos, thrones fall, society disappears." This starkly authoritarian political philosophy is in Maistre's view the natural conclusion to be drawn from the nature of man. Maistre has no patience for the social contractarian theories of Hobbes, Locke and their like. If the executioner is to effectively maintain order, his authority must be unquestioned, axiomatic. The foundations of authority, Maistre claimed, do not lie in institutions constructed by reason, and they are certainly not the product of a contract, theoretical or otherwise. If they are to endure, all institutions of authority must necessarily be irrational. Let us observe the world around us -- what institutions have survived throughout the centuries? French hereditary monarchy has survived sixty-six monarchs of varying competence, and yet nothing could be more irrational than hereditary monarchy, for reason gives us no reason to suppose that a fine ruler will beget progeny who are likewise capable. And yet, supposedly more rational systems such as elective monarchy turn out to be unstable, as seen by the example of Poland. This irrationality even extends to norms of social acceptance. On the battlefield, the soldier turns his weapons on other men and slays them, and yet he is no sinner. Society commends him for his actions and accepts him into its fold, while the executioner, who kills only the guilty, is the object of revulsion. All enduring human institutions, Maistre concludes, are irrational, and must be so, for this is precisely why they survive. That which is built with reason can also be torn down by reason. Only that which defies reason and stands unquestioned in its irrationality can survive. Such is Maistre's conservative answer to the rationalistic formulas of his liberal contemporaries. Some of Maistre's intellectual innovations are new takes on old problems. 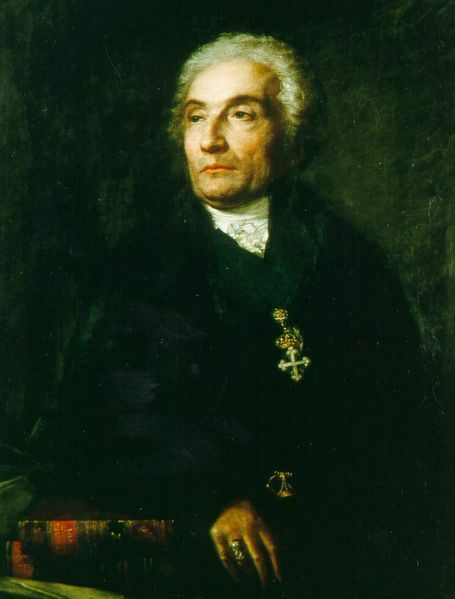 In the St. Petersburg Soirées, for example, he poses the age-old Christian question of why the innocent often suffer in the temporal order whilst the guilty prosper, and proceeds to answer it in a way that would have been incomprehensible to the medievals: the sins of humanity are a collective debt, says Maistre, and God's punishment is meted out like bullets on a battlefield, striking the deserving and the undeserving alike without rhyme or reason, a collective hail that bears down on men and kills irrespective of desert. This idea may have influenced Tolstoy, who is known to have admired Maistre, when he described the Battle of Borodino in War and Peace. Many of the various themes in Maistre's thought that I have discussed can be found in Considerations on France, his 1796 commentary on the Revolution, a work which played a large part in forming the reactions of emigrés to the Revolution. The Considerations are sometimes seen as the Continental counterpart to Edmund Burke's Reflections on the Revolution in France. There is some justice in this, for Maistre admired Burke and was influenced by his work, but the two are never the less very different -- separated not only in time, distance and environment, but by the very nature of their conservatism. Maistre had no use for Burke's contract between "the living, the dead and those yet unborn", while Burke would probably have regarded Maistre's violently authoritarian Catholicism with antipathy. Furthermore, Burke has remained influential and oft-quoted in posterity, while Maistre is a largely neglected figure, often seen as a relic of the past and dismissed as a man born after his time. His throne-and-altar conservatism is no longer fashionable and is in most cases wholly unpalatable to contemporary political theorists, whereas the sturdy Anglo-Saxon Burkean strand of conservatism still finds resonance in modern times. In spite of his dogmatic Catholicism and intense religiosity, it is my view that Maistre does not deserve this neglect -- he was a highly original thinker, and his religiosity, far from being a throwback to the Middle Ages, is of a distinctly modern, almost mystical, variety. It is not unfair, I think, to interpret Maistre's view of man as more Augustinian than Thomistic, more modern than medieval. Although Maistre calls himself a disciple of Aquinas, there is in him nothing of the synthesising Thomistic rationalism of the Middle Ages. He was no ivory tower contemplator, but a critical realist and an astute analyst of his own times -- a man who saw no way around the seemingly destructive individualist liberalism rising in his time except through an irrationalistic acceptance of a mysterious and terrible authority. My above reading of Maistre draws heavily on the work of Isaiah Berlin, who has done much to draw attention to Maistre in Anglo-American academia. Berlin's work recently caused a turmoil in the otherwise quiet world of Maistre scholarship with the posthumous 1990 publication of his "Joseph de Maistre and the Origins of Fascism", which presents a drastic interpretation of Maistre as a thinker whose works contain the roots of fascism. Maistre's irrationalism, his obsession with and, at times, glorification of violence, coupled with his deep-seated pessimism, in all this Berlin sees a harbinger of fascism far ahead of its time -- an irrationalism and a worship of power that would only come to fruition amongst the intellectual proponents of the early 20th century fascist movements. Berlin categorises Maistre as a figure of the "Counter-Enlightenment", a term he introduced and uses to describe those formidable 18th century thinkers who turned their intellectual powers against the ideas of the philosophes and their associates. Other scholars more cautious than Berlin, such as Jack Lively and Maistre's biographer Richard LeBrun, emphasise his Christianity and his conservatism rather than his curious obsession which violence and death, but all find in Maistre a brilliance absent in his fellow reactionaries, even if only a style of writing that is "strong, lively, picturesque ... [and] eloquent." Maistre's flirtation with Freemasonry, his 15-year stay in backward Russia, his reading of fellow reactionaries such as Edmund Burke, his desire to meet Napoleon, the enormous cultural and political reverbations of the French Revolution, the reaction amongst the French aristocratic emigrés when the Revolution turned upon its children in the Terror, and finally, the influence of the ultramontane Catholic culture to which he ostensibly belonged -- all these are keys to achieving a deeper understanding of Maistre as a thinker. His influence on Tolstoy, as mentioned previously, was far from negligible, and some aspects of his uncompromising world-view served to inspire the 19th century followers of Saint-Simon, while Auguste Comte quotes him often in his works, and with approval. Late 19th and early 20th century thinkers like Sorel and Faguet saw fit to analyse Maistre's ideas, if only to refute and reject them. In our own time, the pessimistic Romanian philosopher E. M. Cioran has sought inspiration in Maistre. Certain strands of Maistrean thought are thus still influential, but even if this were not the case, his is a philosophy deserving further study in its own right. Berlin, Isaiah (2002): "Maistre" in Freedom and its Betrayal: Six Enemies of Human Liberty, ed. Henry Hardy, Great Britain, Random House. Berlin, Isaiah (1990): "Joseph de Maistre and the Origins of Fascism" in The Crooked Timber of Humanity, ed. Henry Hardy, Great Britain, Random House. Garrard, Graeme (2003): "Isaiah Berlin's Joseph de Maistre", in Isaiah Berlin's Counter- Enlightenment, ed. Joseph Mali and Robert Wokler, Philadelphia, American Philosophical Society. Garrard, Graeme (2006): Counter-Enlightenments: From the 18th century to the present, United States, Routledge. Lombard, Charles M. (1976): Joseph de Maistre, Boston, Twayne Publishers. MacMahon, Darrin (2001): Enemies of the Enlightenment: The French Counter- Enlightenment and the Making of Modernity, United States, Oxford University Press. Maistre, Joseph de (1965): The Works of Joseph de Maistre, selected, edited and translated by Jack Lively, Great Britain, Unwin Brothers Ltd.
Maistre, Joseph de (1960): Les Soirées de St. Petersbourg, ou, Entretiens sur le Gouvernement temporel de la Providence, Paris, La Colombe.